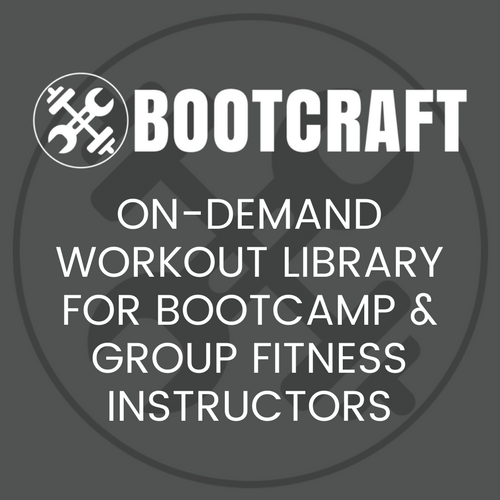 This workout is thanks to Lori Watson who shared it on BootCraft last October. Thanks Lori! Boot campers will alternate between a total of 50 or 100 reps of an exercise (depending on the round) while performing a second exercise every 10 reps until all reps have been completed. There you go, your warm up for tomorrow’s session is sorted. If you want some help with a great main drill and finisher to use, then I highly recommend BootCraft. It’s this mammoth database of workout ideas that we’ve been putting together the past 3 years. Warm ups, boxing drills, HIT workouts, bodyweight strength sessions and more. It’s very cool, it’s very fresh and it’s a great tool to have access to when planning your sessions each week.